A white fabric drum lamp shade from the Imperial Collection with a polished brass spider fitter. Update the look of your lamp with this classic white fabric drum lamp shade from the Imperial Shade Collection™ with spider fitting. Featuring curved lines, this shade will add instant sophistication to any room. 14" across the top x 16" across the bottom x 12" on the slant x 12" high. Polished brass finish spider fitting. Classic drum lamp shade from the Imperial Shade Collection. White 100-percent polyester fabric with self trim top and bottom. Polyester, nylon blend inner liner. This is the third shade I have purchased and if this shade is as nice as the first 2 I will be thrilled with the product. Good quality and worth every dollar spent. I was greatly impressed with the care in packing that is done to mail their shades. 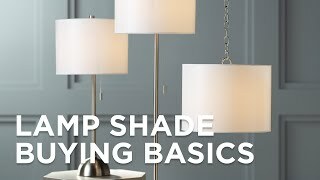 I definitely would recommend Lamps Plus to anyone looking for a quality lamp shade. To go on an antique Jade colored urn shaped lamp. 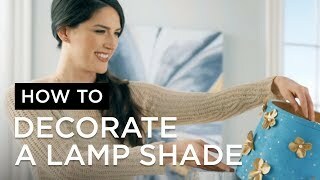 I chose these shades to update some lamps I own. I needed white shades instead of the dark beige shades that came with them. I am replacing a worn out silk shade. I wanted white and this shade has the exact dimensions of the old one, looks like silk, thus fills the bill. Only place that I could find a correct replacement size. Good website. Has something for just about any lamp. I liked the shape and needed this color to match our lamps. is there a clear plastic cover available? BEST ANSWER: I am sorry, we currently do not offer clear plastic lamp shade covering that you can purchase separately. I purchased this shade, and did not see one. However, it is so lovely and cleans up easily with either a quick swipe of a lint roller or a vacuum cleaner attachment. No. It does come covered in plastic strips but it would not be safe to use like that. I am replacing shades that don’t let enough light through. Does this shade allow a lot of light through? BEST ANSWER: Yes, we were very please with our purchase. We have them in our living room and in our bedroom. Hope this was helpful! Is this shade frame notched for a refector? My vintage lamp has a 10" refector bowl. BEST ANSWER: Yes the top cross frame has notches which are each approx. 2 inches from the shade. I bought this shade for 2 vintage 1950s lamps I have. Look great. I need to replace 3 shades. Height 13 1/2 _ 14 top width 11. Bottom width 17 do you have this size ? BEST ANSWER: Unfortunately, we do not have a similar shade in the dimensions provided. do you sell a shade that is 17 (top) x 19 (bottom) wide x 11.5 high? BEST ANSWER: We can come pretty close, but not exactly those dimensions. Here are a couple of examples. I think the quality reflects..
Just as advertised; came promptly and well -packed; included harp, which I hadn't expected. I love these lamp shades. I had originally wanted rectangular shades but was unable to find the right size and decided on the drum shades. The fabric is exactly what I had in mind . The quality is very good and they look great. I am very pleased with them. Love it and it fits my lamp perfectly. Arrived on time and as expected. Handmade in Californiathis vibrant design features a Gunmetal Metallic color for extra sparkle and is topped with a contemporary burlap drum shade. Square cut style and creme colored polyester lend an elegance to this high quality lamp shade that includes a custom fit harp. This classic square cut lamp shade is covered in beautiful creme colored fabric made of high quality polyester lined with a nylon blend. A handsome bell shape and classic taupe fabric warms this polyester blend lamp shade designed for durability and fine styling.